You and your organization have worked hard to create a great policy book. Now, how do you get Congress or your state legislature to turn policy recommendations into policy reality? You need to advocate for it. Advocacy can come in many shapes and budget sizes. But whether it’s round or square, big or small, you need to have a plan; you need an advocacy strategy that outlines your overall goal and effective tactics that will help you cross the finish line. Let’s take a look at a hyper-local example. You and your neighbors love your dogs (how could you not?) and think it’s very sad that the dogs only get to see each other while on leash. They all want to run, play, and do whatever else it is that dogs do, unfettered by their slow (but much loved) humans. 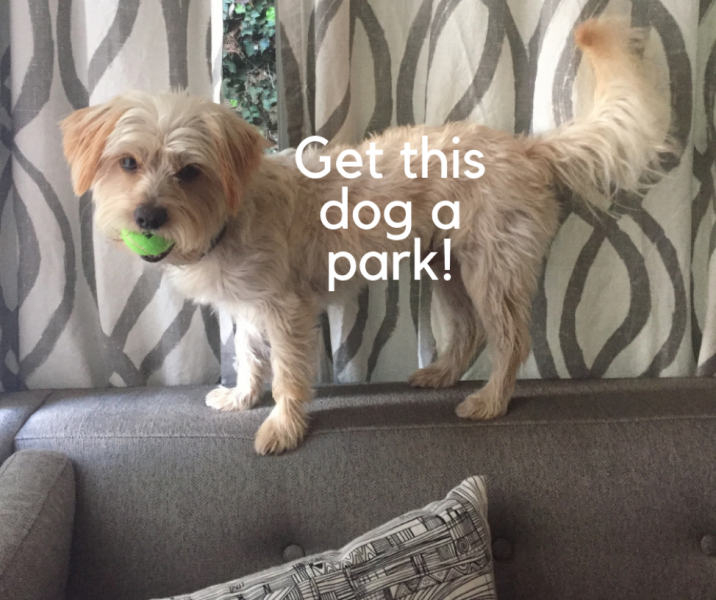 You want to get the city to build a dog park. All the cool dogs have one and so should your community. So, you call a meeting at the local watering hole to plan out how to get the city to build a dog park. Who are the relevant decision makers you need to target? Who among them is movable and who is likely not? What is your timeline and what are the important dates within it? What tactics should be used to advance your goal? So, what do we mean by advocacy tactics? They are the things you do to achieve your outcome – it’s how you carry out your strategy. There are a lot of options when it comes to tactics, and part of building out your overall strategy is determining which tactics will advance your goal, which might detract from it (for instance, if you set up shop in an empty lot surrounded by homes and blast “Who Let the Dogs Out?” 24 hours a day in protest of the lack of a dog park in that space, you will likely create opposition with those neighbors), and how to balance it all with your available resources (think: people, time and money). You can send letters, emails or call your local elected officials or the relevant decision makers when it comes to building dog parks. You can make flyers to handout (or mail) to your neighbors asking them to get involved. Maybe you want to really draw attention to Fido’s plight with a little civil disobedience – hold a sit-in (walk-in) with your dogs, taking over the empty lot on your street that would be the perfect place for a dog park. Call the media and hand them all those fancy flyers. Everyone loves dogs, especially local news stations trying to find uplifting news stories that work well on camera. These are just some of the advocacy tactics that can make up your advocacy strategy. So, get out there and start advocating. If you would like help in creating your advocacy strategy and planning out some advocacy tactics that will get your policy goals passed, send us a note here at The Campaign Workshop. Whether it’s as simple as building a local dog park or as complex as passing health care reform, our team has worked on it. We’d love to put our advocacy skills to work for your progressive organization.